My husband will tell you he's the farthest thing ever from "hip," but I disagree. I mean, sure I think it's cool he works in the music industry, can genuinely fix or make anything after watching a quick YouTube video, runs marathons like they're a breeze, and has the best collection of black graphic tees in all the land. But the real reason I think he's hip is that he is an incredibly loving, hands-on parent and participates in pretty much anything and everything the kids are doing -from dressing up in princess costumes to arriving early to dance recitals so he can sit in the front row to cooking them amazing dinners every night he's home. When it comes to parenting, what's hipper than that? Because Robbie is also hip in that he (at least in my eyes!) has great taste, he can be hard to buy for. I have a feeling many of you can relate to the challenge of finding the right gifts for the hip dads in your life as well. 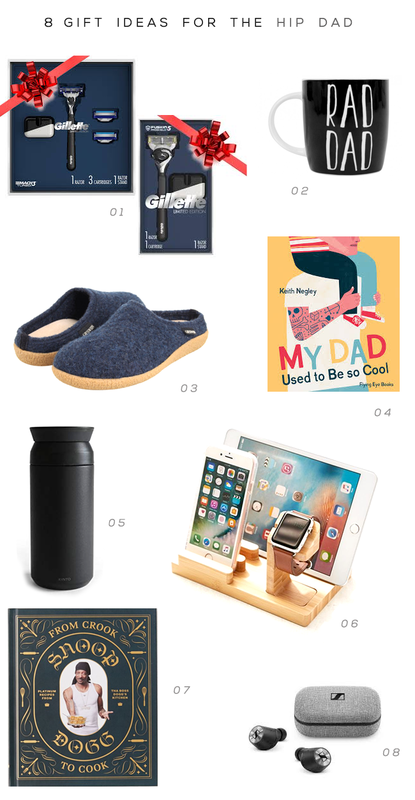 That's why I put together this round up with what I think are some really fun, stylish, and unique gift ideas (several of which I'm getting for my husband). I hope it inspires you in your holiday shopping! 1. 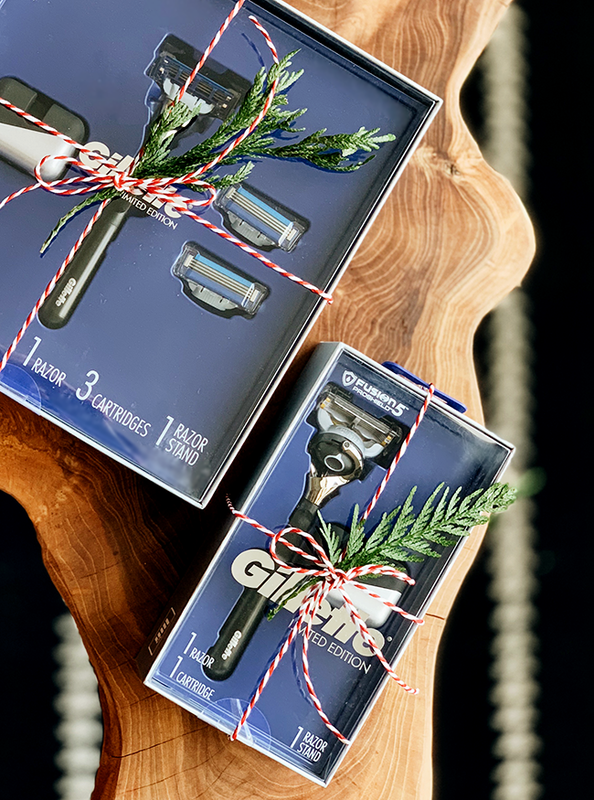 Gillette Limited Edition Holiday Gift Packs. I am giving two of these babies to my husband this year, and I'm so excited about it you guys. Robbie doesn't take a lot of time to pamper himself, but I know how much he enjoys a nice shave. 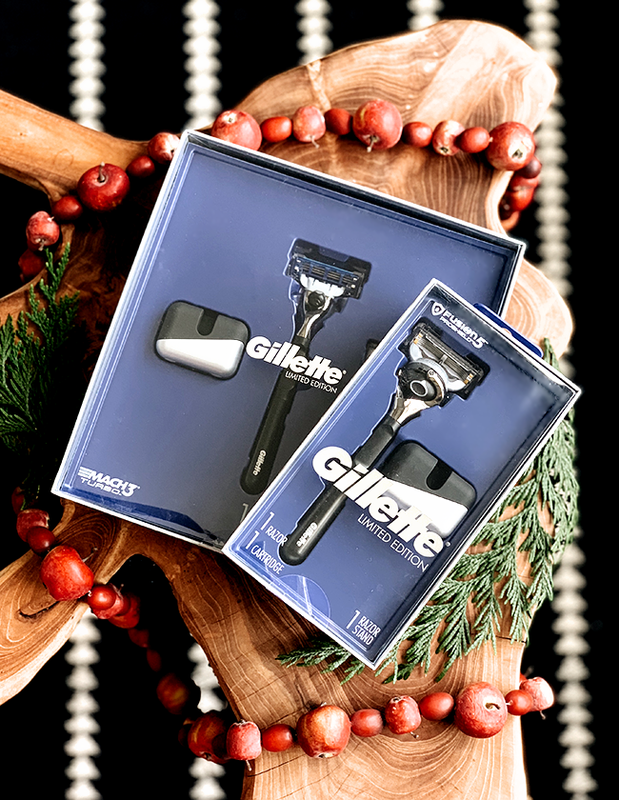 He's already a huge Gillette fan, and these limited edition holiday gift packs are super sleek (the matte black is everything! ), so I know he's going to be thrilled. The MACH3 Turbo Gift Pack features a premium matte black razor handle (a first of its kind offered by Gillette! ), a matte black and chrome razor stand, and three 3-bladed cartridges. The Fusion ProShield Gift Pack also includes the chic matte black razor handle and matte black and chrome razor stand, and comes with one 5-bladed cartridge. Robbie won't settle for less than Gillette when it comes to razors, so I know he's going to be stoked with these seriously rad gift packs. And the price is right: they're each only $19.99. You can pick up one (or both!) for the hip dad in your life at your local Walmart or Walmart.com. 2. A Cool Coffee Mug. A coffee mug is a classic gift (especially if the hip dad in your life loves his joe like mine does), and there are all sorts of them out there (like this "Rad Dad" mug from Annabel Trends) that will remind him on the daily that he's not like a regular dad, he's a cool dad. 3. My Dad Used to Be So Cool Book by Keith Negley. This book is equal parts funny and emotional, with the neatest illustrations. My daughter actually spotted it first and asked if she could give it to my husband this year, which I thought was really quite brilliant. It's a great way to remind him that he's still the coolest. 4. Wireless Earbuds. These beauties from Sennheiser are top of the line (and not cheap), but there are lots of more affordable wireless headphones on the market that are also great quality. For my music loving runner husband, wireless headphone kind of nail it. 5. Wool slippers. It's a classic, practical gift made cool. I love this pair from Giesswein. 6. Sleek Travel Tumbler. My husband is on the road a lot, whether on tour with the band for work or running the kids to school and activities (which, when he's off, he does a lot more than I do), and he likes to have his coffee and/or water with him. When it comes to travel tumblers, you can't get much hipper than a matte black version like this one from Kinto. 7. Multi Device Charging Dock. The hip dad we live with has a whole lot of gadgets that need to be charged. A nice looking multi device charging dock like this one from Urban Outfitters would be much appreciated. 8. A Hip Cookbook. If the cool dad in your life enjoys cooking, a unique cookbook might be just what he needs. I'm definitely snagging this Snoop Dogg cookbook for Robbie (and kind of for myself too). 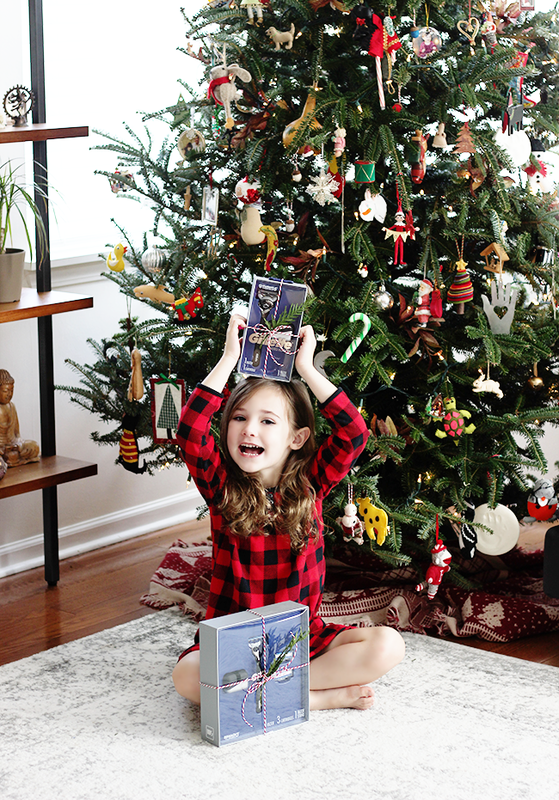 If you have any other fun gift ideas for hip dads, I'd love to hear them in the comments! Happy holiday shopping, friends. I was literally just stressing about what to get my husband. Great suggestions! Totally getting this for my boyfriend!